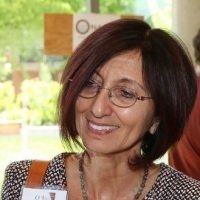 Elba Serrano, Regents Professor of Biology, New Mexico State University is a scientist and educator who received her undergraduate degree in physics with distinction from the University of Rochester and her Ph.D. in biological sciences from Stanford University with an emphasis in neuroscience and biophysics. Her current research focuses on mechanosensory systems, tissue engineering, and neurogenetics. Serrano is an advocate of interdisciplinary research and education. She is an elected AAAS Fellow and the 2015 SACNAS Distinguished Research Mentor Awardee.